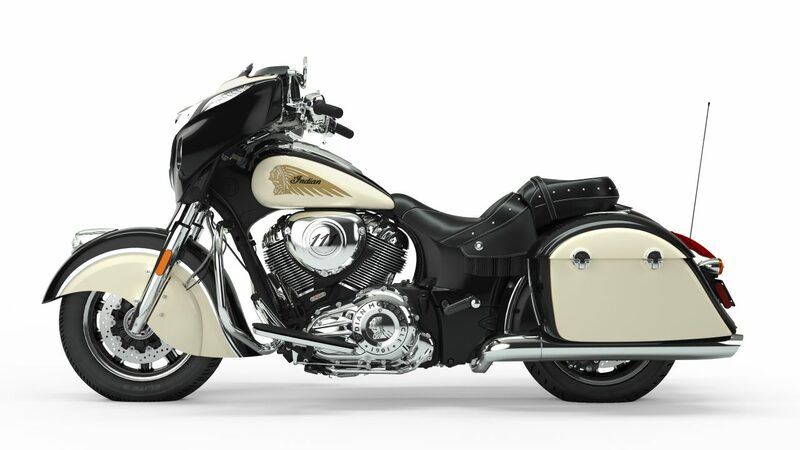 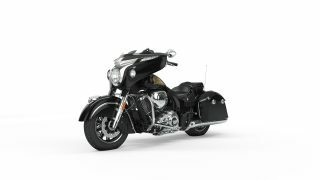 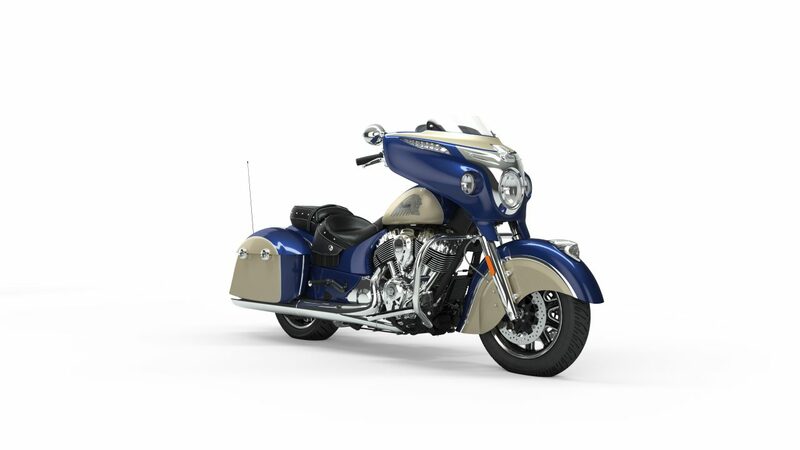 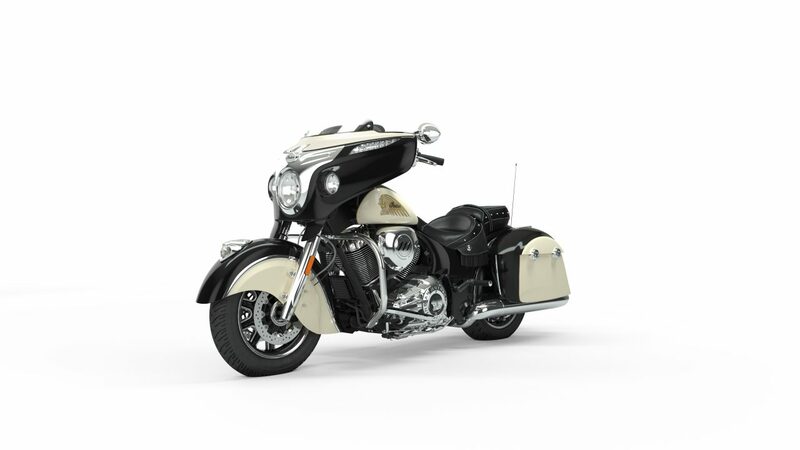 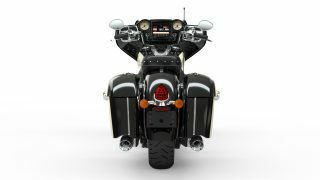 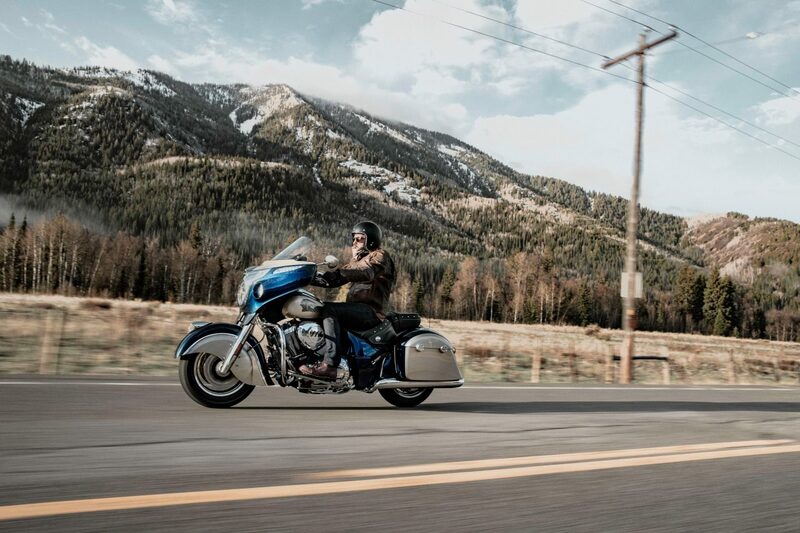 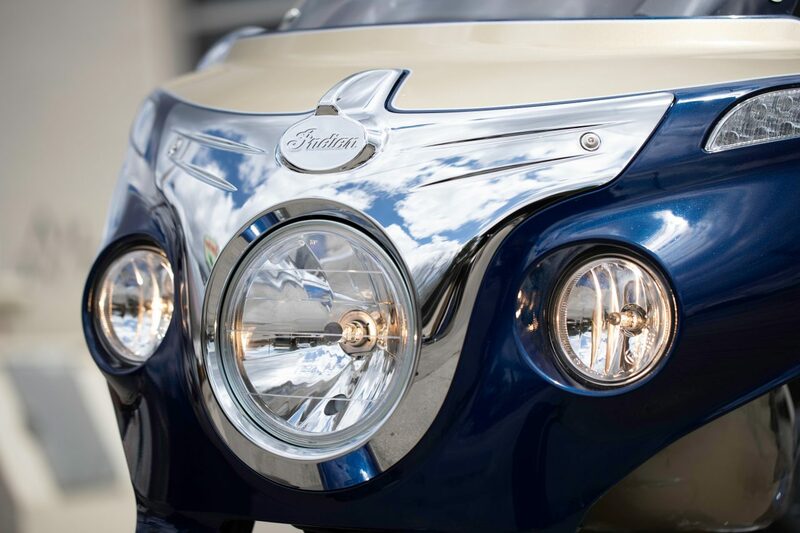 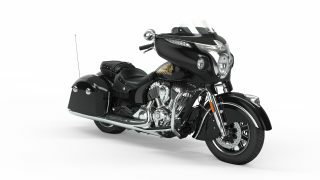 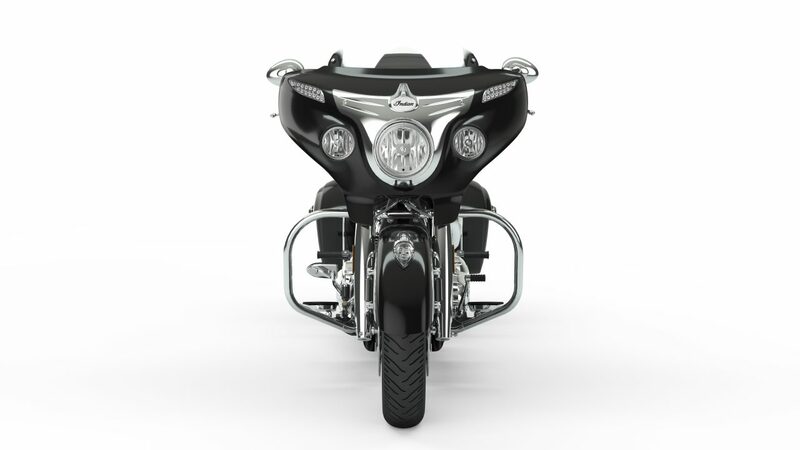 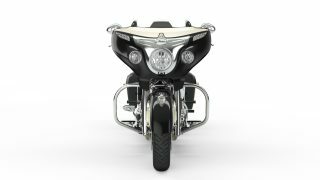 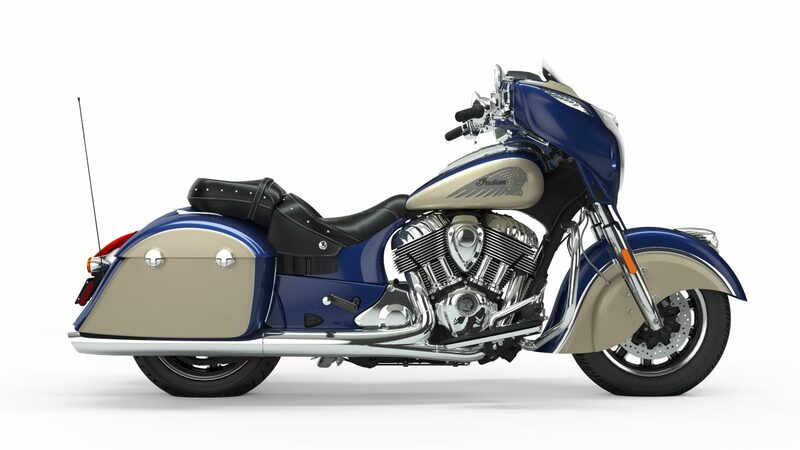 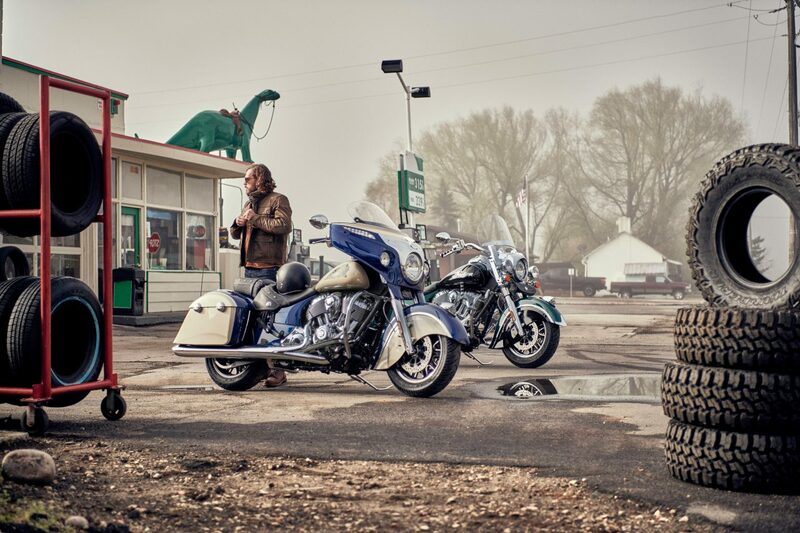 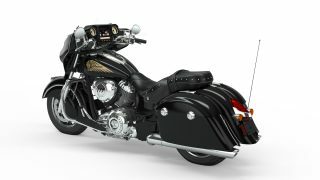 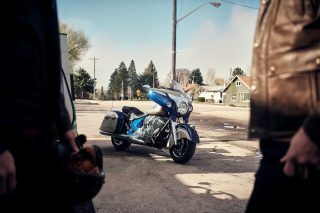 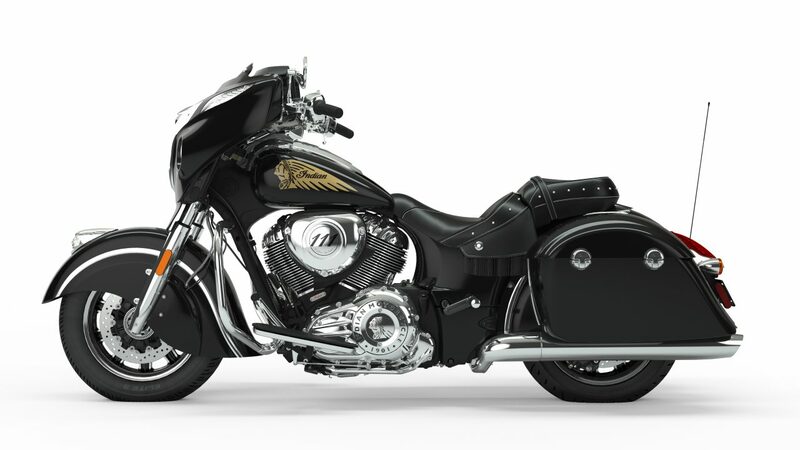 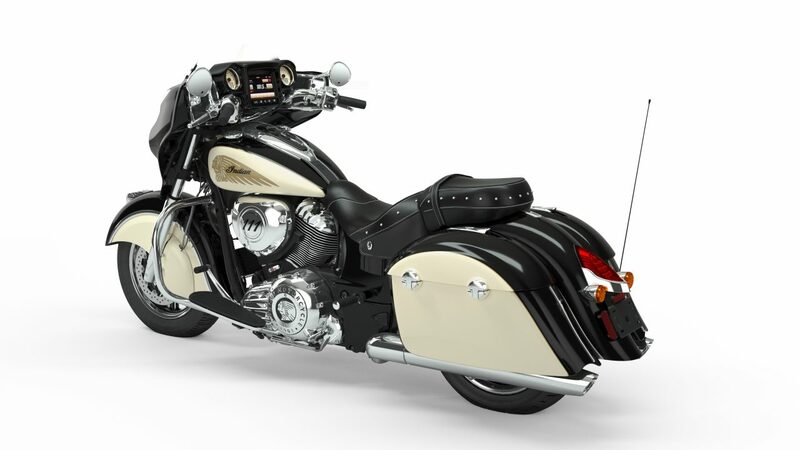 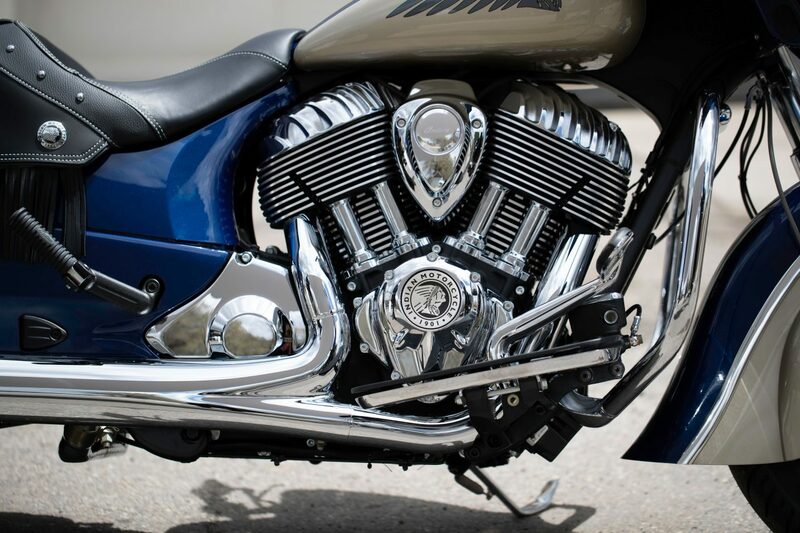 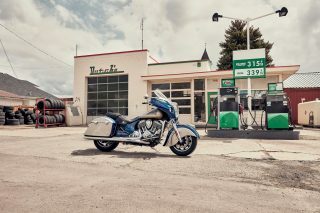 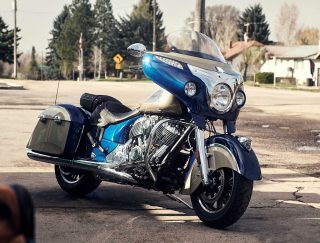 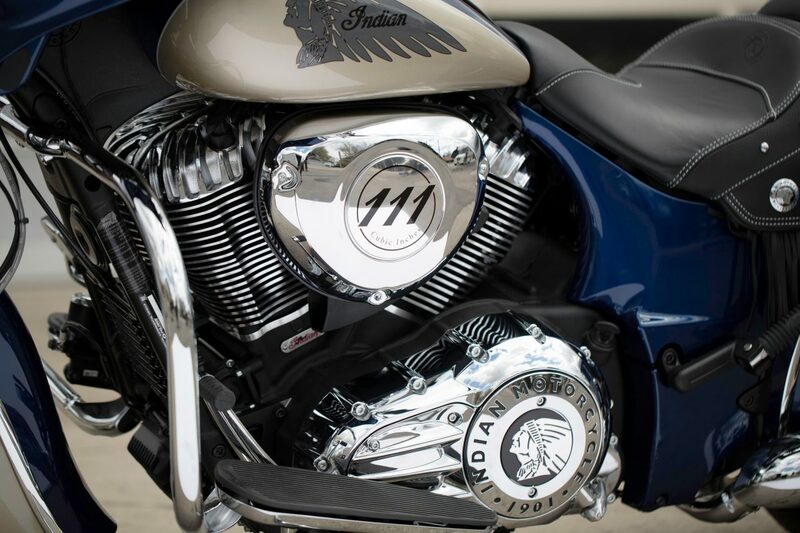 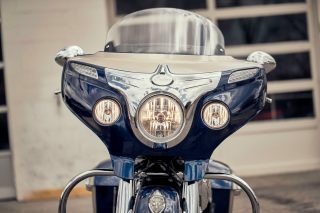 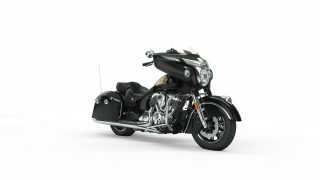 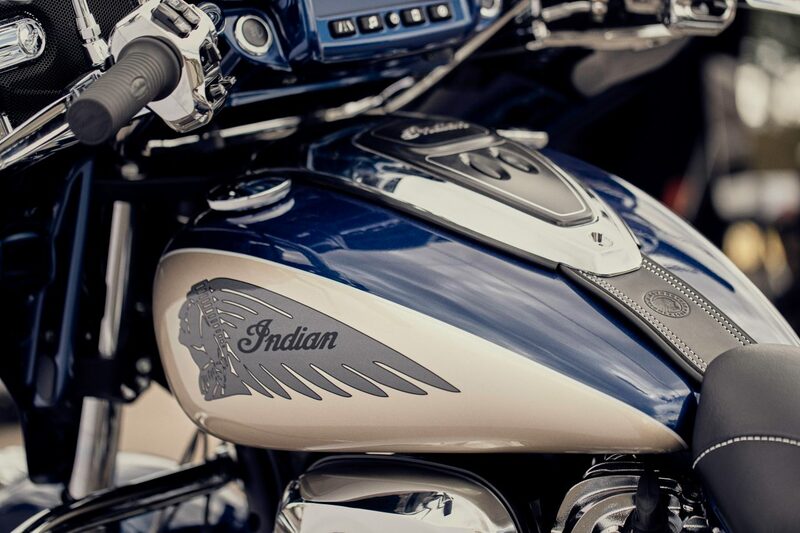 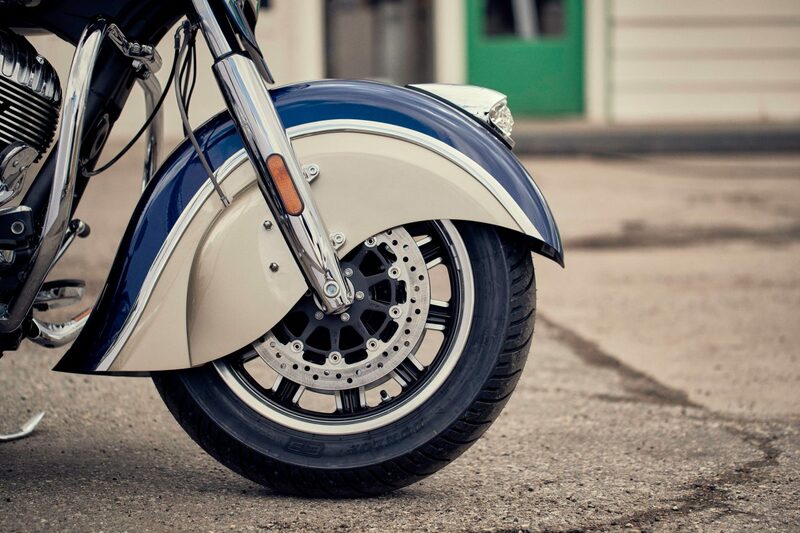 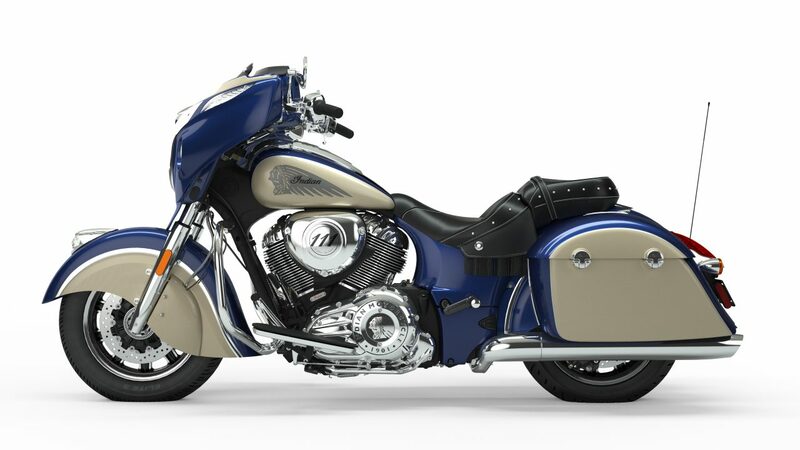 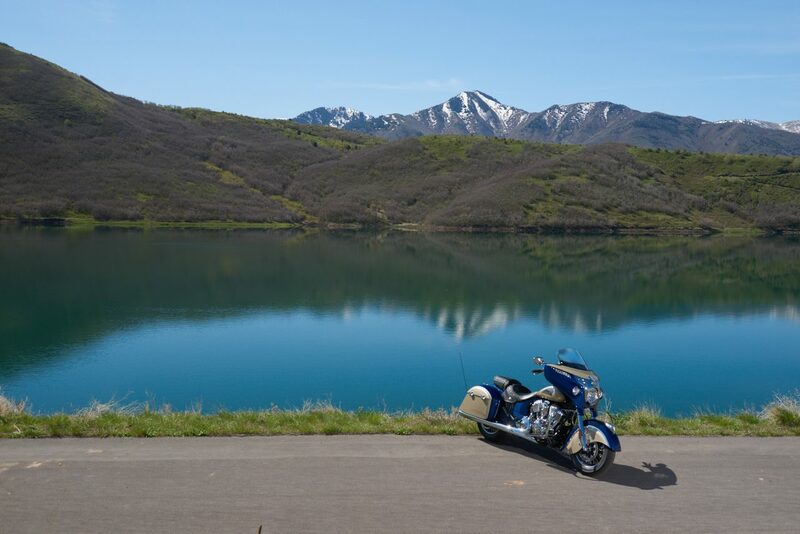 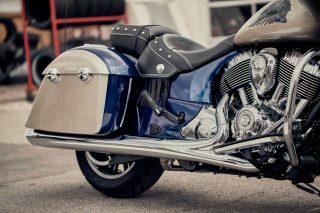 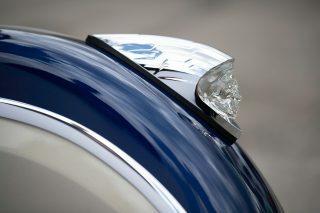 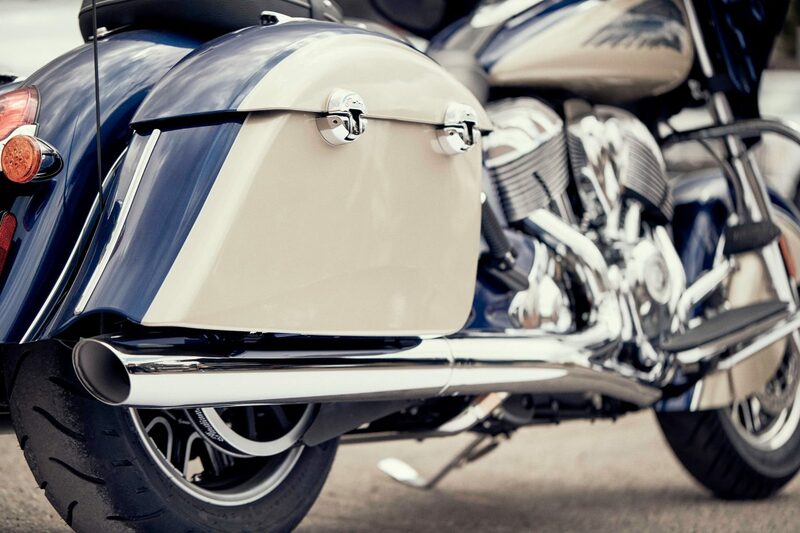 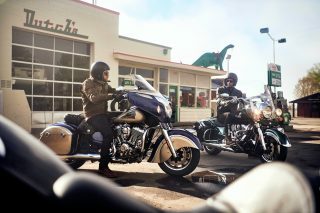 For those loyal to classic Indian Motorcycle design, the 2019 Indian Chieftain Classic will continue to feature its traditional fairing and iconic valanced front fender with a chrome, illuminated headdress. 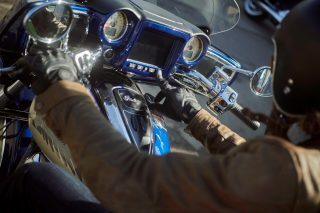 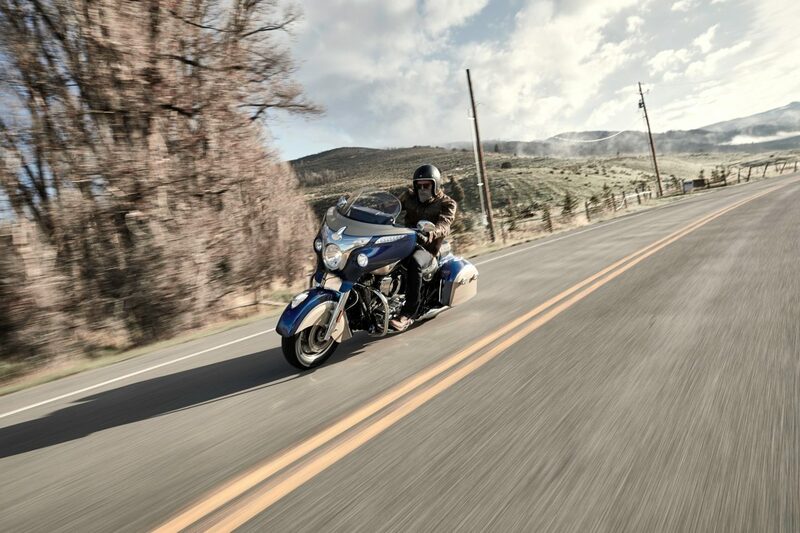 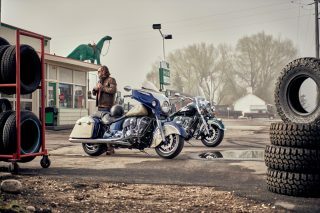 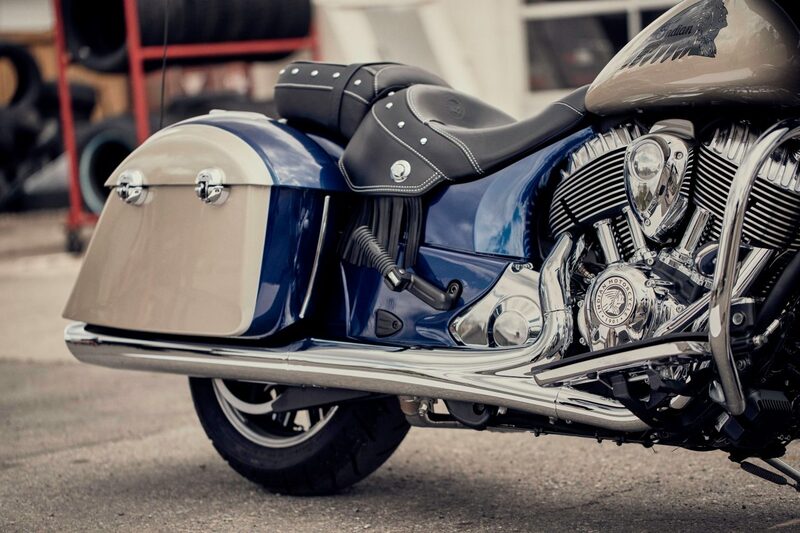 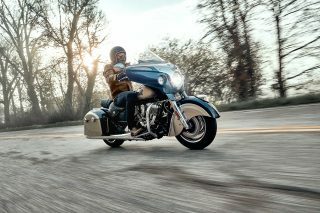 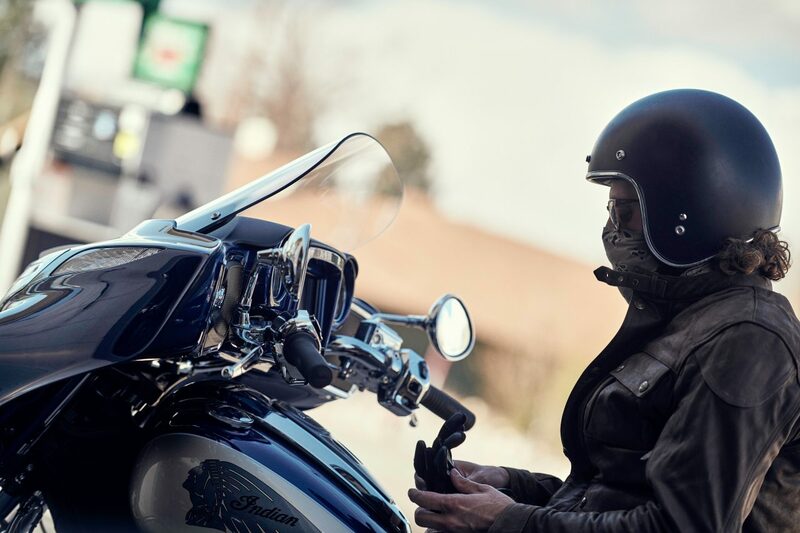 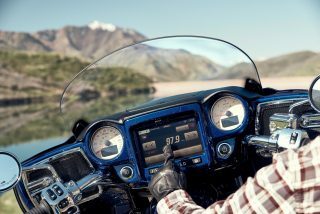 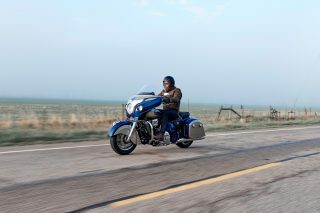 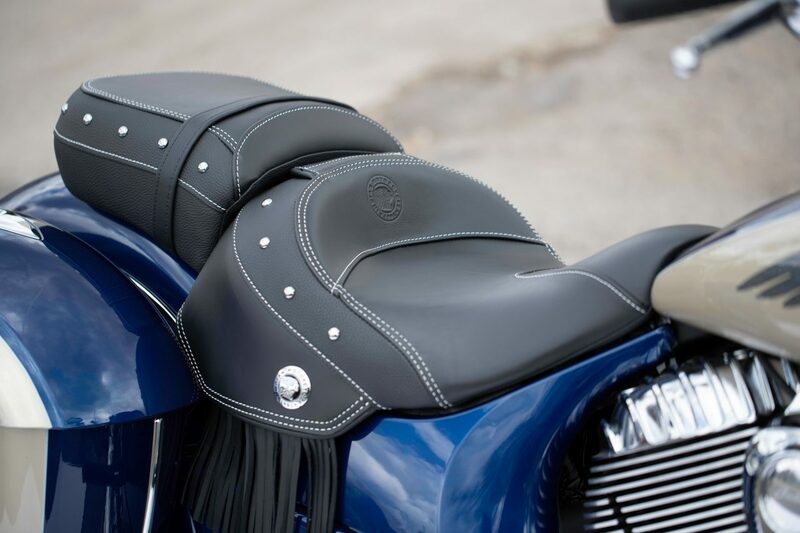 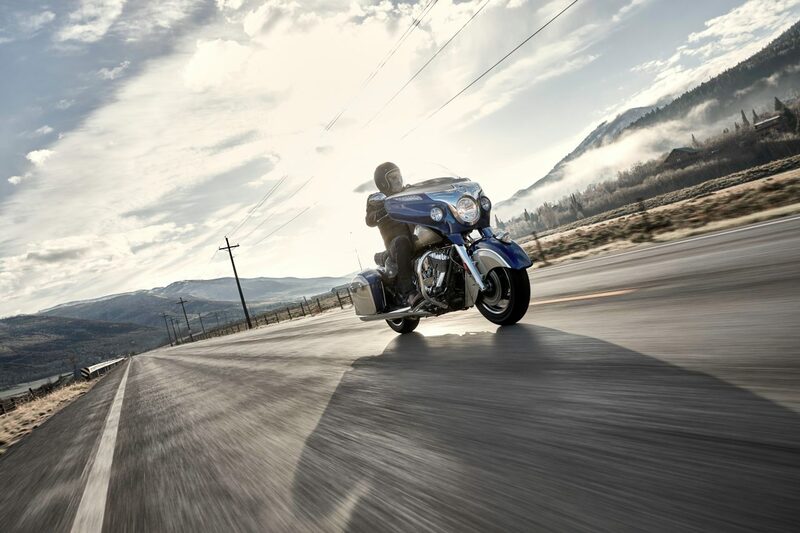 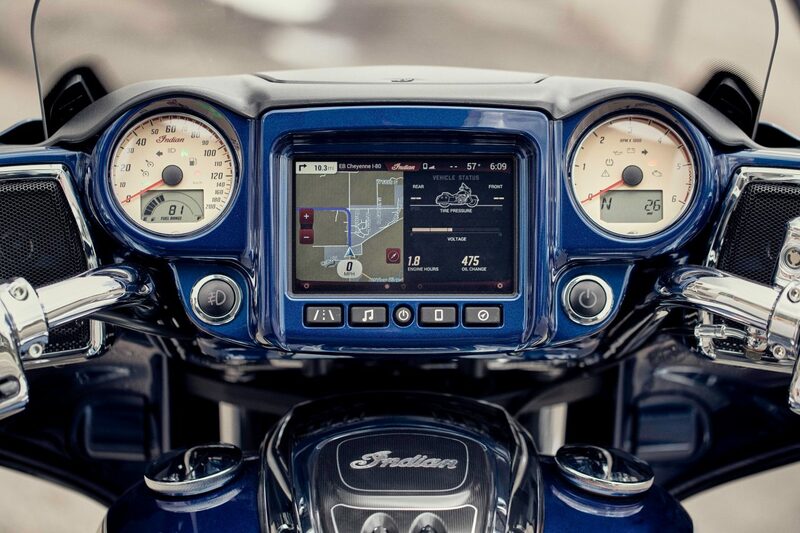 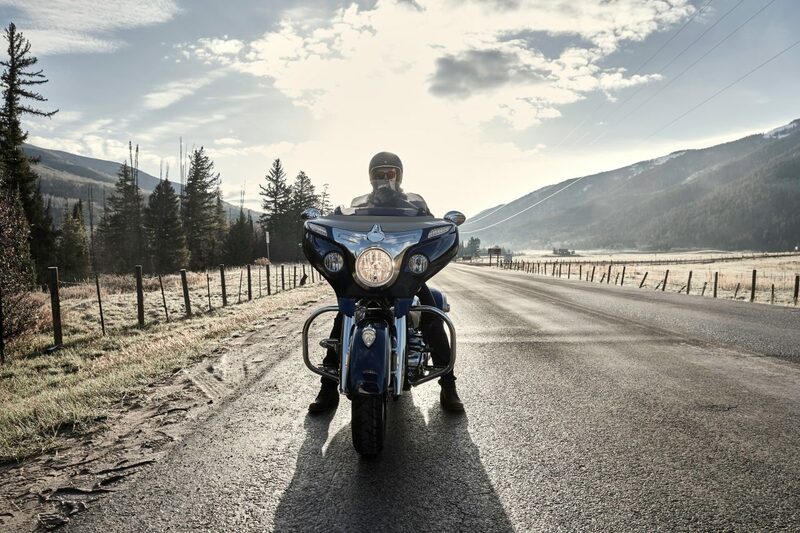 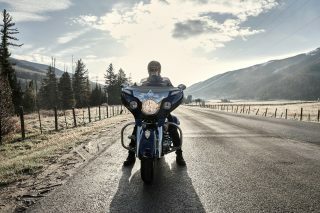 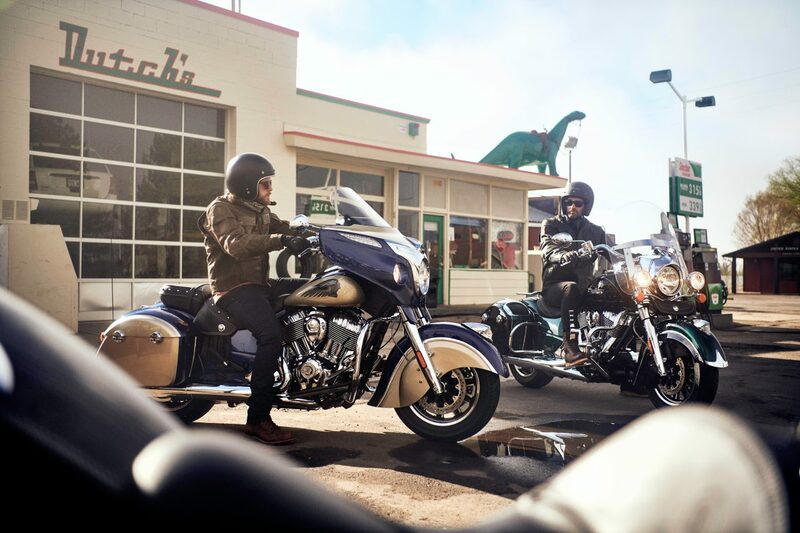 In addition to the standard features listed above, Chieftain Classic has a genuine leather 2-up seat with fringe details, GPS navigation, remote-locking saddlebags and tyre pressure monitoring. 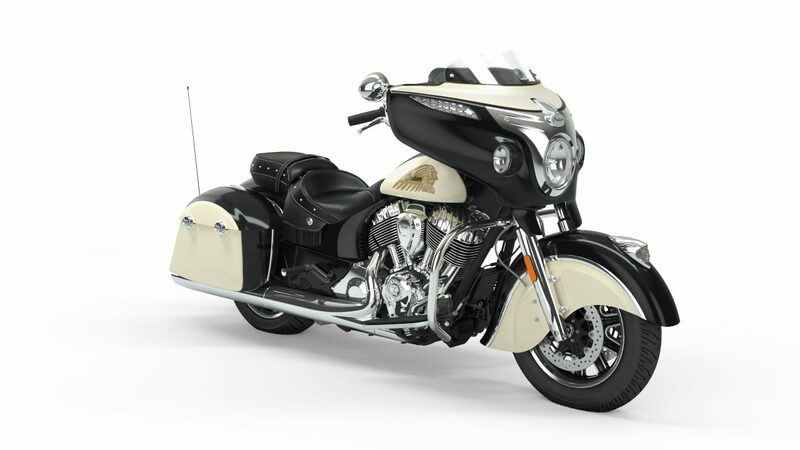 Chieftain Classic is available in Deep Water Metallic over Dirt Track Tan, Thunder Black over Ivory Cream and Thunder Black.